” Drunkard how can ye boast of your hard drinking? Think you there is neither Heaven or Hell? Also from Amos Commenius’s Visible world, or, A picture and nomenclature of all the chief things that are in the world, and of mens employments therein / a work newly written by the author in Latine and High-Dutch … ; & translated into English by Charles Hoole … for the use of young Latine-scholars. 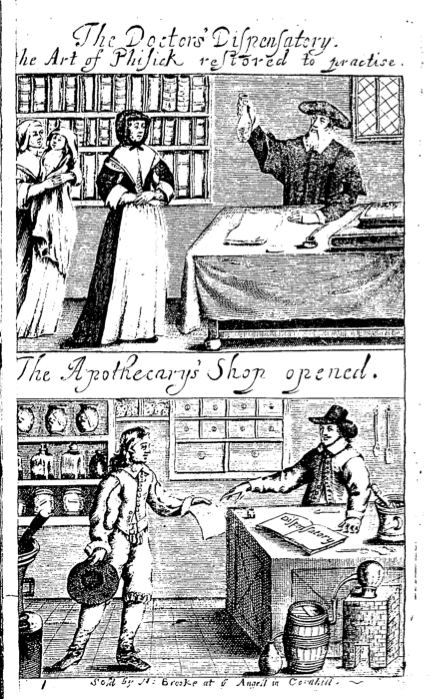 Printed in London 1659. 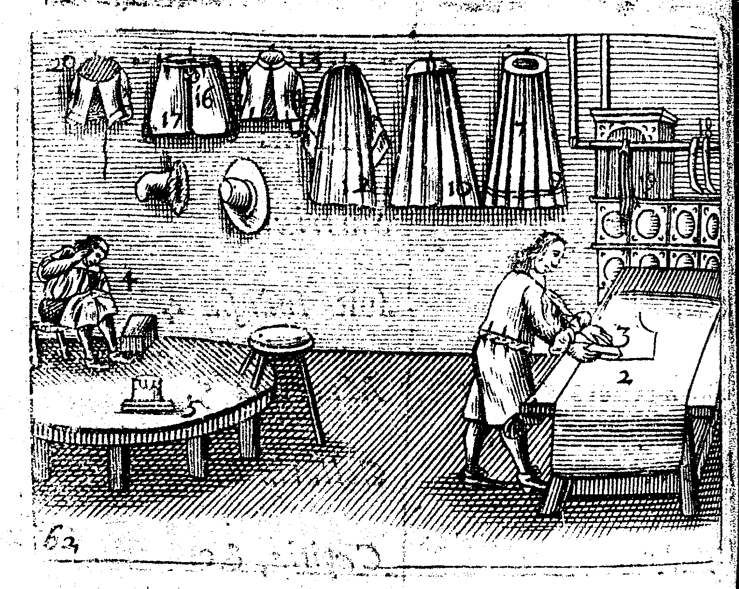 This picture shows a tailor’s workshop with the tailor cutting out on the right, dressed in short doublet, breeches and shirt peeping out between the two. 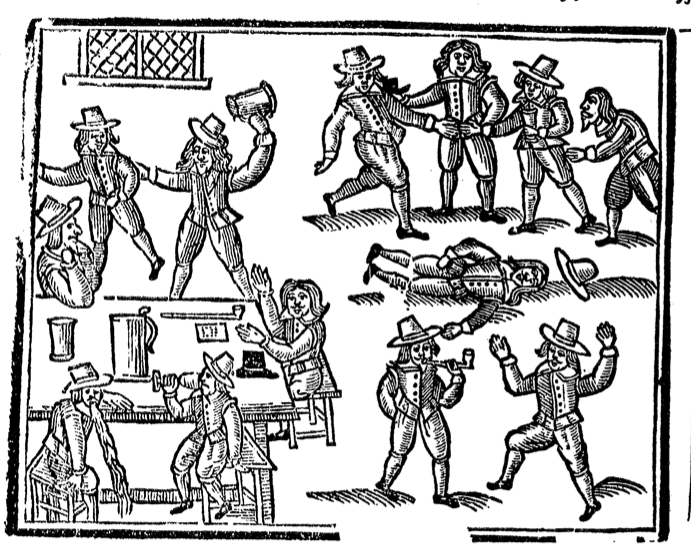 This marks the image out for the 1650s. His assistant is sewing something whilst sat on a stool. Conventional wisdom has tailors sitting cross-legged on the table. Maybe the “boy” was too old and stiff for this, who knows? At least the stool is on the table! The Taylor 1. cutteth Cloth 2. with Shears 3. and soweth it together with a needle and double thred 4. Then he presseth the Seams with a pressing-iron 5. And thus he maketh Coats 6. with Plaits 7. in which the Border 8. is below with Laces 9. Cloaks 10. with a Cape 11. and Sleeve Coats 12. Doublets 13. with Buttons 14. and Cuffs 15 Breeches 16. sometimes with Ribbons 17. Stockings 18. Gloves 19. Muntero Caps 20, &c.
From Amos Commenius’s Visible world, or, A picture and nomenclature of all the chief things that are in the world, and of mens employments therein / a work newly written by the author in Latine and High-Dutch … ; & translated into English by Charles Hoole … for the use of young Latine-scholars. 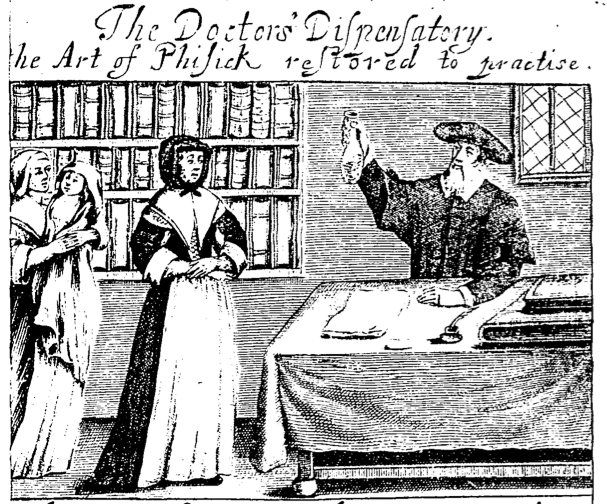 Printed in London 1659. 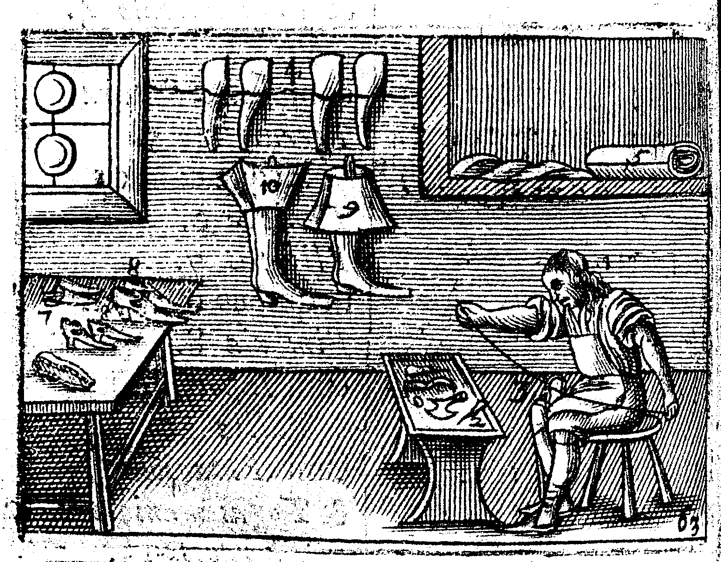 It’s a picture dictionary, but here is a shoe maker in his shop shop working away at a shoe in a shirt and breeches. What makes it even more useful is the annotation provided so scholars can learn the Latin words and we can learn exactly what they called various shoes. The Shoo-maker 1. maketh Slippers 7. Shooes 8. (in which is seen above the upper-Leather, beneath theSole, and on both sides the Latchets) Boots 9. and High-Shooes 10. of Leather, 5. (which is cut with a Cutting-Knife 6.) by means of an Awl 2. and Lingel 3. upon a Last 4. 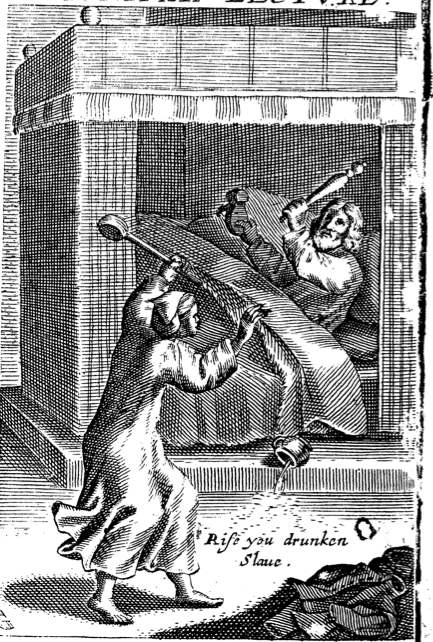 The picture looks like a still from a seventeenth century version of Terry and June, with the wife in smock and coif with cross-cloth on top trying to get her poor hard-working husband out of bed with a ladle, whilst he defends himself with a chair leg. 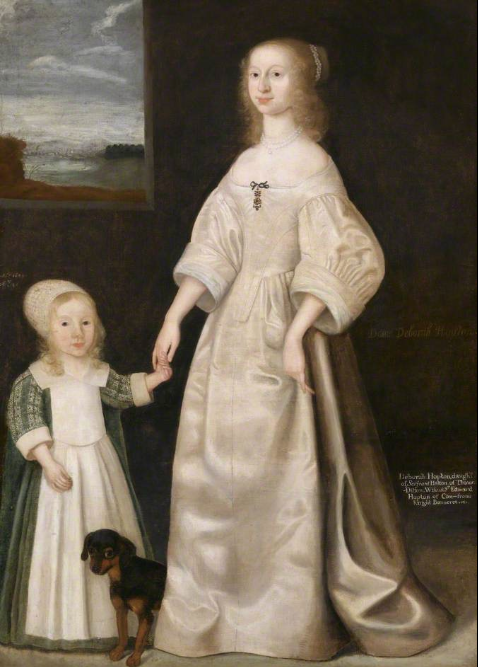 Notice also the discarded doublet on the floor and the upended chamber pot, the contents of which are probably washing towards her unprotected feet. Wondering why this book is called A Juniper Lecture, I began to read the introduction, and here is the answer. …well forg’d, not made of lead. Give fire, O noe ’twill break and strike vs dead. 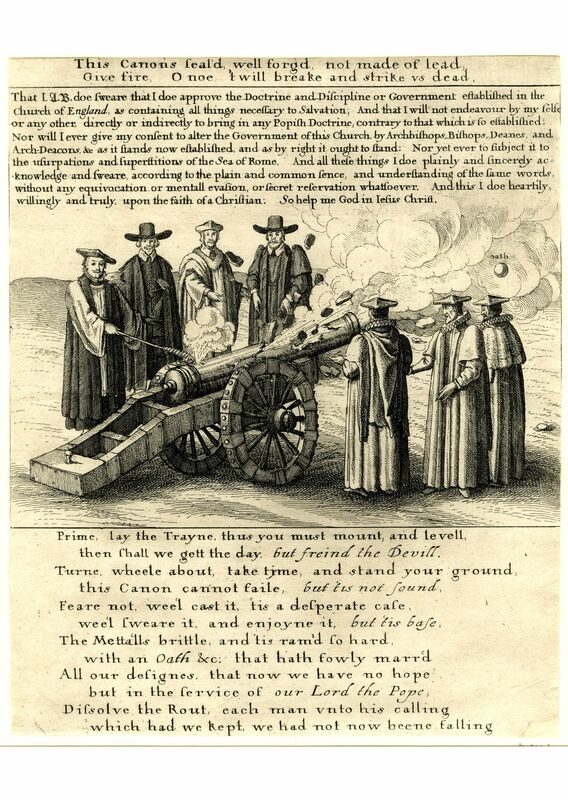 Hollar’s satirical broadside from 1640 on the Laudian Canons which attempted to enshrine in canon law what William Laud and Charles I thought was the way ahead for the Church of England. 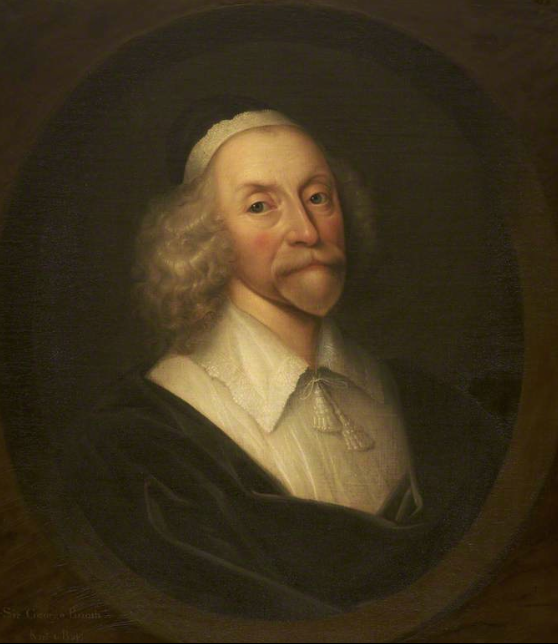 Their ideas of government by bishops, service by the prayerbook and an attempt to reestablish a more aesthetic form of worship proved deeply unpopular and led not only to the execution of Laud, but was also one of the main causes of conflict in the 1640s. Here the good Archbishop attempts to distribute an oath, presumably to legitimise the canons, by firing it out of a cannon. See where they went with the pun? Sadly the cannon is not up to the job and explodes as the ball leaves the barrel. 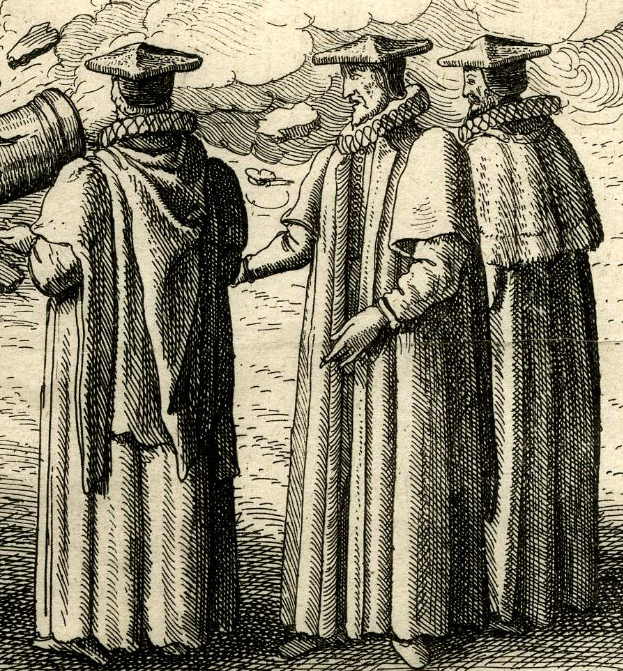 Several clerics are clustered around the cannon. 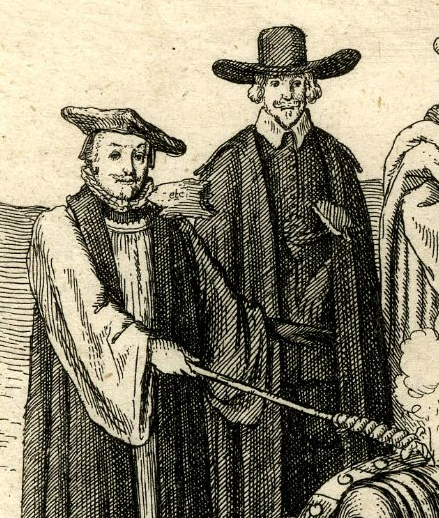 Firstly the Archbishop of Canterbury in his square canterbury cap, rochet and chimere of an Anglican bishop, as well as a nice ruff pushed up by his standing collar. 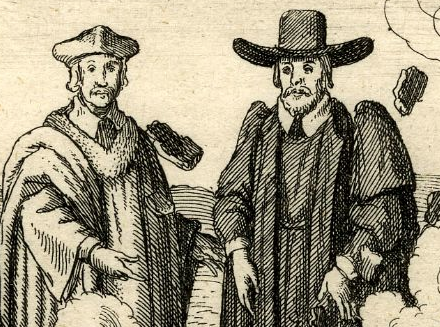 On his left a cleric in standard outdoor garb, doublet, breeches, open cloak, falling band and hat. Here are two more academic clerics, the guy on the left in what looks like a university gown and hood and on the right in a preaching or geneva gown. These two are often said to be puritans, but I can see nothing here that wouldn’t have been worn by an episcopalian churchman. As in the case of the armies, there was little to distinguish either side at first glance. Three bishops stand in the foreground. They have been identified as Matthew Wren, Bishop of Ely, Thomas Morton, Bishop of Durham and John Williams, Archbishop of York. Wren and Morton are wearing gowns and Williams what looks like a fur lined tippet. All in regulation square caps. 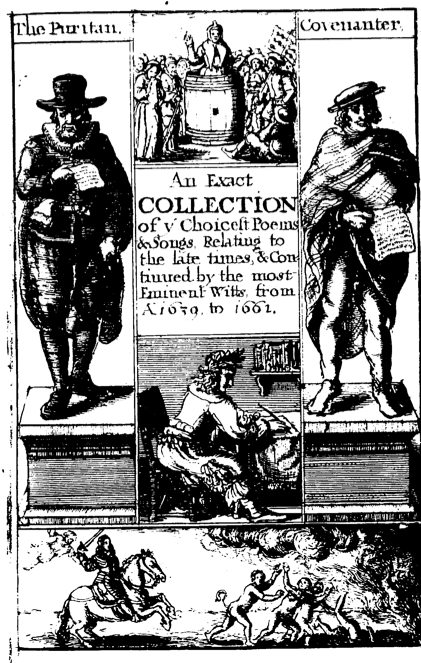 or, An Exact Collection of the Choicest Poems and Songs relating to the late times and continued by the Most Eminent Witts from AD 1639 to 1662. 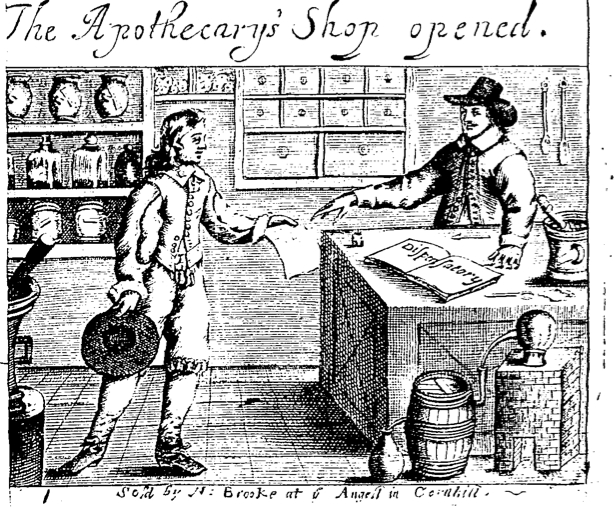 By Alexamder Broome, printed in 1662, engraving by Richard Gaywood. The plate was reworked several years later for another publication and the centre image was replaced. However, there are some nice details to look at. 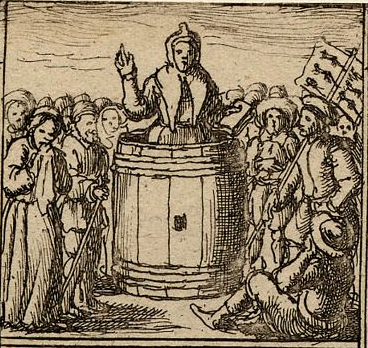 Centre top a woman in a pointed coif preaches from a tub whilst some soldiers and women look on. Here is the “puritan” on the left hand side in a ruff, doublet and breeches. He’s also wearing a belt bag on his waist belt. And the covenanter on the left. Note the check plaid, his trews and the engraver’s idea of a Scot’s bonnet. 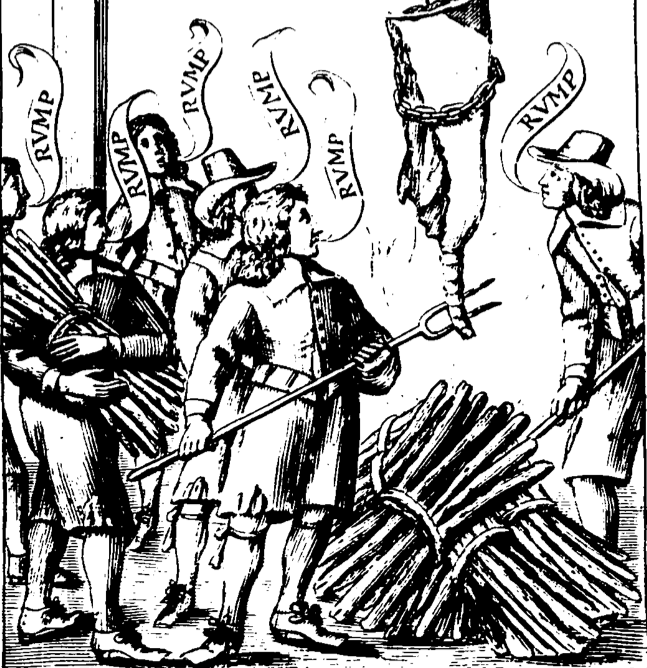 This picture from the opposite page shows a bunch of guys preparing to roast a rump of beef. 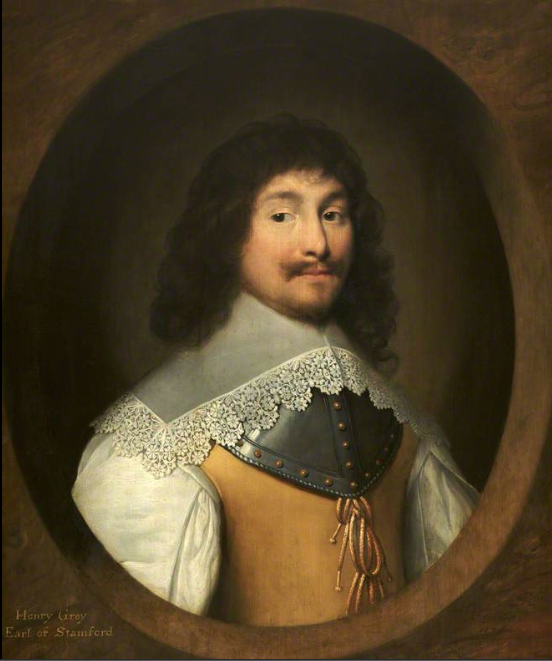 All are wearing short tabbed doublets and unconfined breeches, a more 1650 fashion, which would coincide roughly with the date of publication. Nice shoes too!